Unmanned systems have recently become a hype. Following the extremely dynamic developments in the automotive industry, the maritime industry is preparing for a future where human presence is no longer required in the logistical chains or on board of ships. The advocates of these developments promise great opportunities and talk of ‘smart ports’, ‘smart cities’, ‘smart vessels’ and a lot of other smart things where ‘Big Data’, ‘Deep Learning’ and the ‘Internet of Things’ are driving a strong technology push in this direction. There are also more critical voices, which stress the threats to job security and safety, and even warn against the consequences of robot supremacy. In the past four years, the Sustainable PortCity Research Centre has been at the forefront of these debates, both with regard to the maritime industry and Rotterdam Mainport, as a city where people live, work and spend their leisure time. As a research professor at this center with ‘Big Data for Delta Technology’ in my portfolio, I have followed these debates with great interest. My portfolio was focussed on smart, innovative solutions for water management, such as the inspection and monitoring of rivers, (other) waterways and coastal areas. As such, and in a typically Dutch fashion, I could not refrain from forming an opinion on the issue of maritime robotics. At the end of my four- year assignment at the Rotterdam University of Applied Sciences, I have welcomed the opportunity granted me by my employer to set my thoughts on these developments down in writing, in the hope that they may help decision makers and policymakers, technologists and other stakeholders involved in the issue of autonomy in their attempts to guide developments towards increasing robotisation and automation in a major International Mainport region. 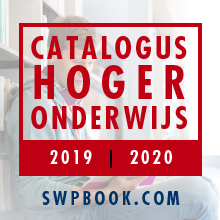 Lees verder op p. 139 van nummer 74-75 van Waardenwerk. Nog geen abonnee? Klik hier.